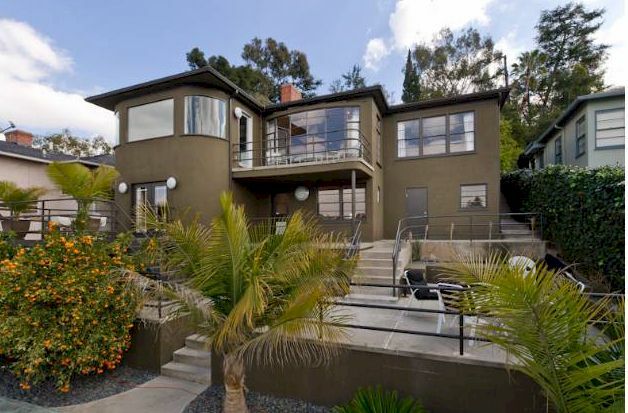 1957 Rockford Rd is a recently listed Silver Lake Streamline Moderne overlooking the Silver Lake Reservoir. Situated on Rockford Rd, the short road just above Silver Lake Blvd, this home affords some of the best views across the reservoir from the Moreno Highlands. 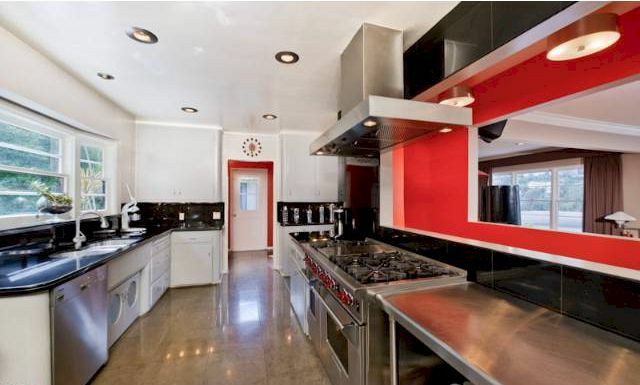 This Silver Lake home has 3 bedrooms and 3 bathrooms in 2,381 square feet of living space and a 6,425 sf easy-care lot with enclosed, multi-level concrete patios. The home’s design emphasizes long horizontal lines and curved walls and windows, representative of streamline modern homes of the era. This particular beauty was built in 1940. 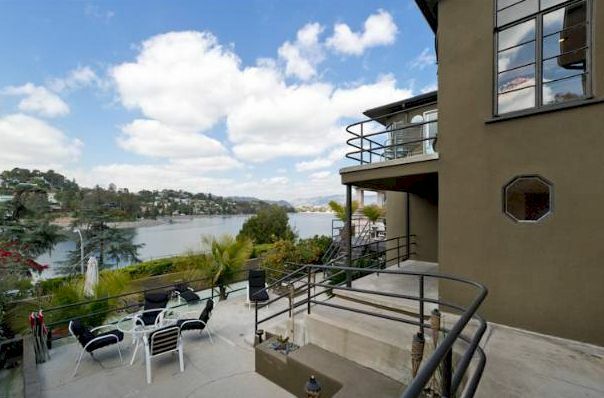 If you want a Silver Lake Reservoir view, you’ll get it from multiple areas of this home including the kitchen, dining room, living room and even the master bedroom with its own deck. 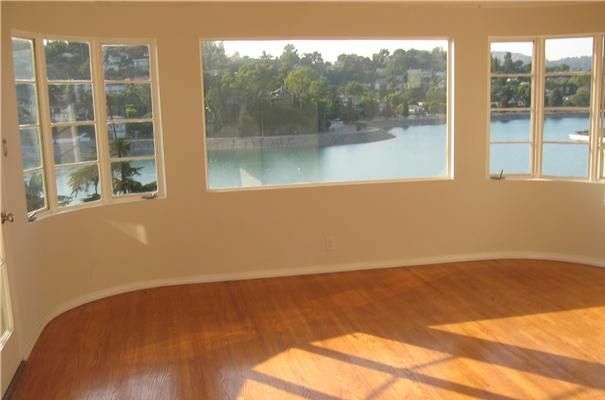 Open living spaces, shiny hardwood floors and porthole windows transport you to a to a time when Silver Lake was young and the area was a blank canvas for mid century architects like Kesling and Neutra to create their then-modern master pieces. If you are a fan of this style, check out these stories about William Kesling’s Skinner House and Adams House. The kitchen has been remodeled and includes stainless steel Viking refrigerator, Wolfe range and a Miele dishwasher and a pass-through that allow a view of the lake and a feel of openness to the living room. Not to fear if you are more of a purist – the bathrooms still boast their original tiles and mid-century design. And what about location? You won't need a gym when you are right across from the Silver Lake walking path and just down the street from the Silver Lake Dog Park, LaMill, Leela Thai, L&E Oysters and a variety of other small shops and restaurants. Currently listed with The Agency for $1,350,000 you can also lease the home for $6,900.